KathNiel fans can freely breathe! A few weeks ago, KathNiel fans all over the world got shookt to the core when Kathryn Bernardo's mom, Min, posted on Instagram, "MAY NAG PROPOSED [sic]," along with surprised emojis. This led many to assume that Daniel Padilla finally proposed to his onscreen partner and long-time girlfriend Kath. This whole episode happened with KathNiel were in Japan shooting a special project for the Japanese tourism board. It was snowing, the holidays just ended, and everyone was in a festive spirit—it's not hard to believe an engagement happened! But now that they're back in Manila, Kathryn had to clarify and debunk those engagement rumors, saying in an interview, "Nung pinakita, yung [post] sabi ko, 'nakakaloka kayo, mababaliw 'yung mga tao.' Hindi, hindi po talaga [nag-propose]." 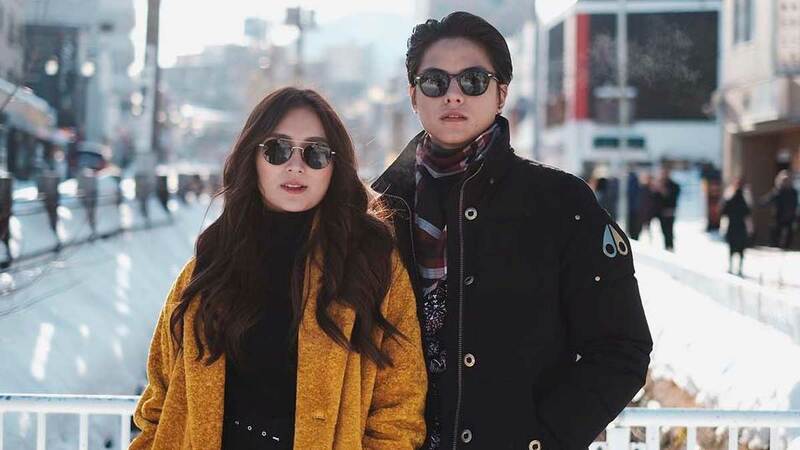 She also isn't keeping her doors closed to an engagement but it isn't happening any time soon for her and DJ, "Hindi muna siguro. Open ako sa idea pero kailangan pa naming magtrabaho pareho and baka too young pa ngayon [magpakasal]."